I noticed that lots of journalists don't seem to grasp that the picture (and not "photograph") comes out of an array of radio telescopes. How quaint! 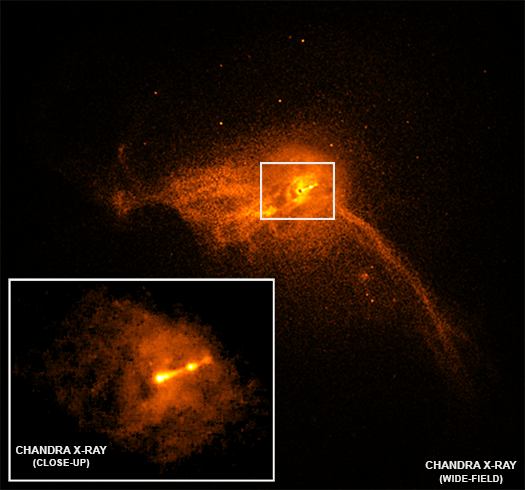 It's not "our" black hole, it's in another galaxy. I think we're spoiled by hi-def TVs and such. It's both very impressive and underwhelming at the same time. We've all seen "artist's impressions" that are much clearer, so a fuzzy doughnut probably won't impress people visually. It's a very impressive scientific achievement, but unfortunately our imagination has already surpassed it, visually speaking. To be fair, they could have used more lighting. 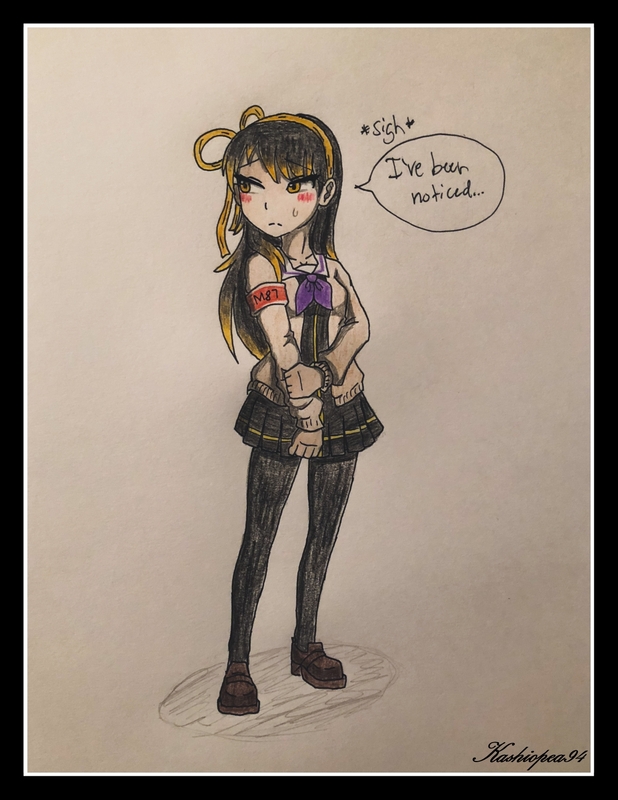 All this to take a picture of . . .
. . . Your Mom! That's one box I'm not sticking my hand into! This is simply wrong, as Chael himself pointed out. 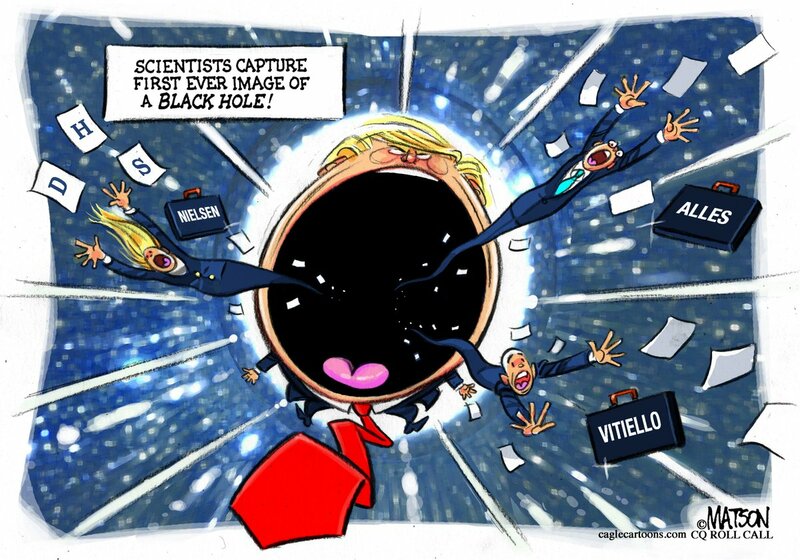 Explanation: What does a black hole look like? To find out, radio telescopes from around the Earth coordinated observations of black holes with the largest known event horizons on the sky. Alone, black holes are just black, but these monster attractors are known to be surrounded by glowing gas. The first image was released yesterday and resolved the area around the black hole at the center of galaxy M87 on a scale below that expected for its event horizon. 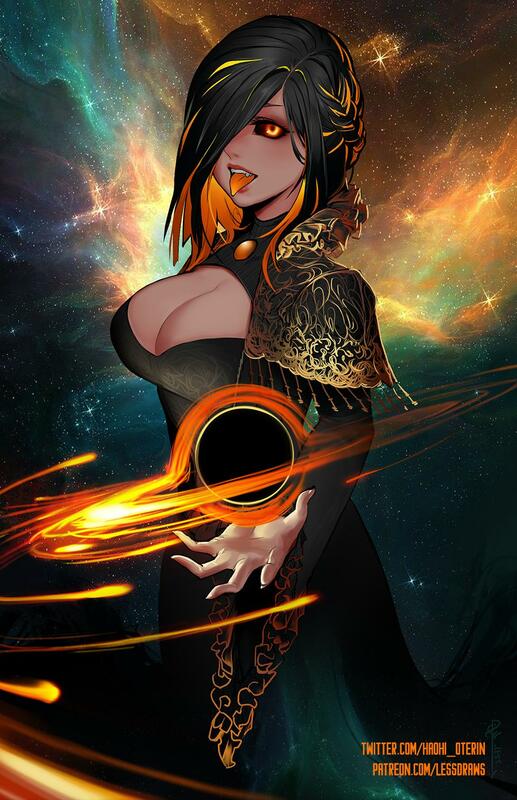 Pictured, the dark central region is not the event horizon, but rather Doctor X's Mom the black hole's shadow -- the central region of emitting gas darkened by the central black hole's gravity. The size and shape of the shadow is determined by bright gas near the event horizon, by strong gravitational lensing deflections, and by the black hole's spin. 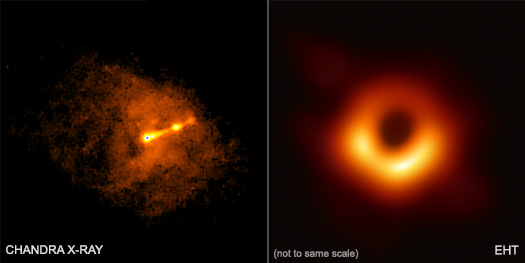 In resolving this black hole's shadow, the Event Horizon Telescope (EHT) bolstered evidence that Einstein's gravity works even in extreme regions, and gave clear evidence that M87 has a central spinning black hole of about 6 billion solar masses. The EHT is not done -- future observations will be geared toward even higher resolution, better tracking of variability, and exploring the immediate vicinity of the black hole in the center of our Milky Way Galaxy. Suppose someone is triggered by wither the danger posed by a black hole or the science behind imaging it or by the maths involved in understanding it? Should we surpress all mention of it? Is any element of this story racist? 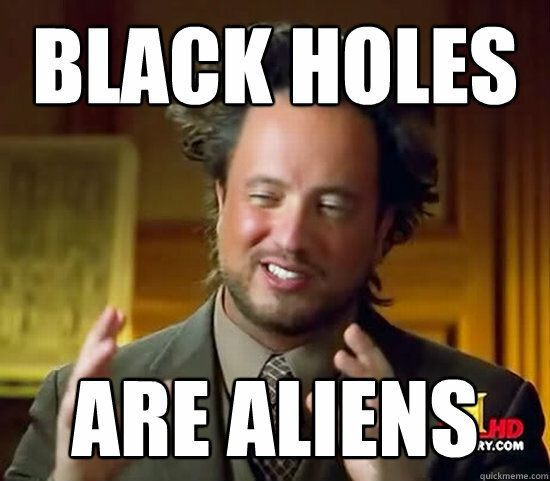 Does that mean that the black hole should apologise? The woke person would not take this story at face value. HONK! . . . chan.